Sensitive skin? Bling it on. 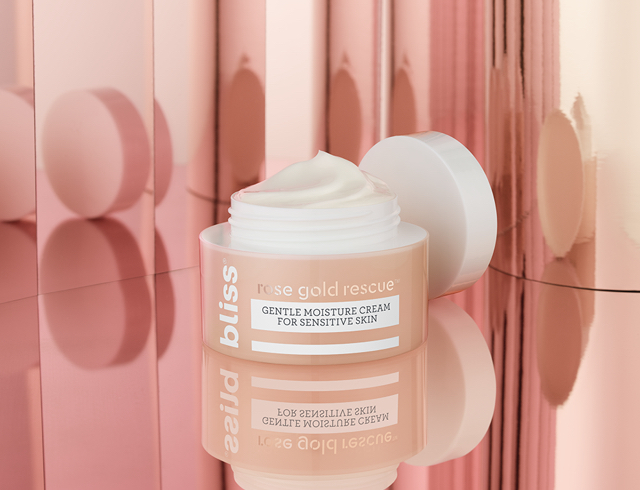 Introducing Rose Gold Rescue™, a sensitive skincare collection that is cruelty-free, free from harmful ingredients – and anything but boring. Infused with soothing rose flower water and nourishing colloidal gold, this delicate cleanser gently removes dirt, makeup and excess oil without over-drying. Use under makeup as a toner, or mist throughout the day for an instant pick-me-up! The continuous fine mist provides light moisture without leaving heavy residue or disturbing makeup. Parched skin? This nourishing, lightweight, fragrance-free cream absorbs instantly to replenish, smooth and balance skin with no greasy after-feel.